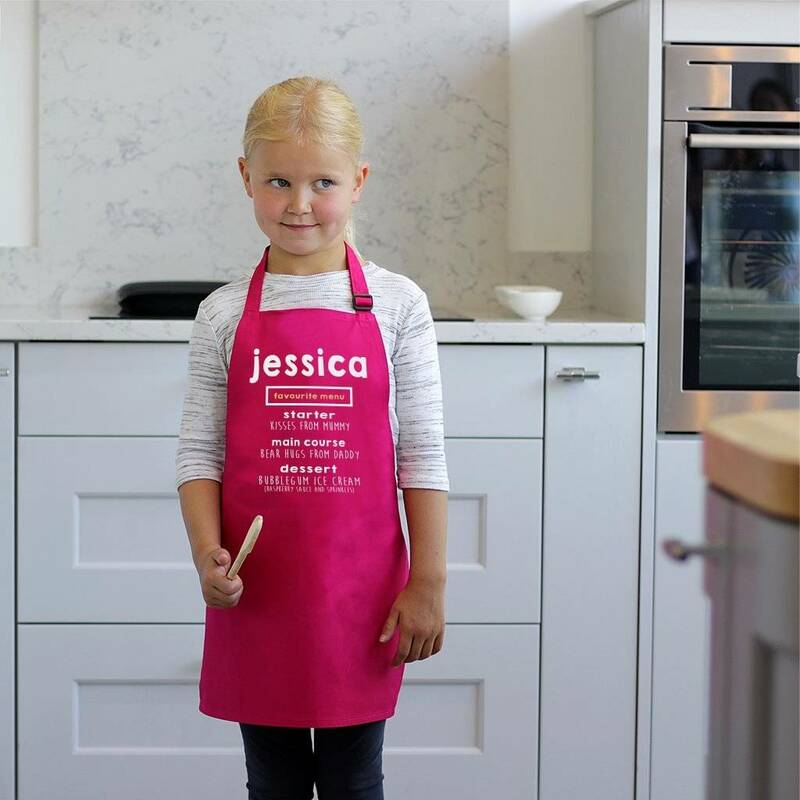 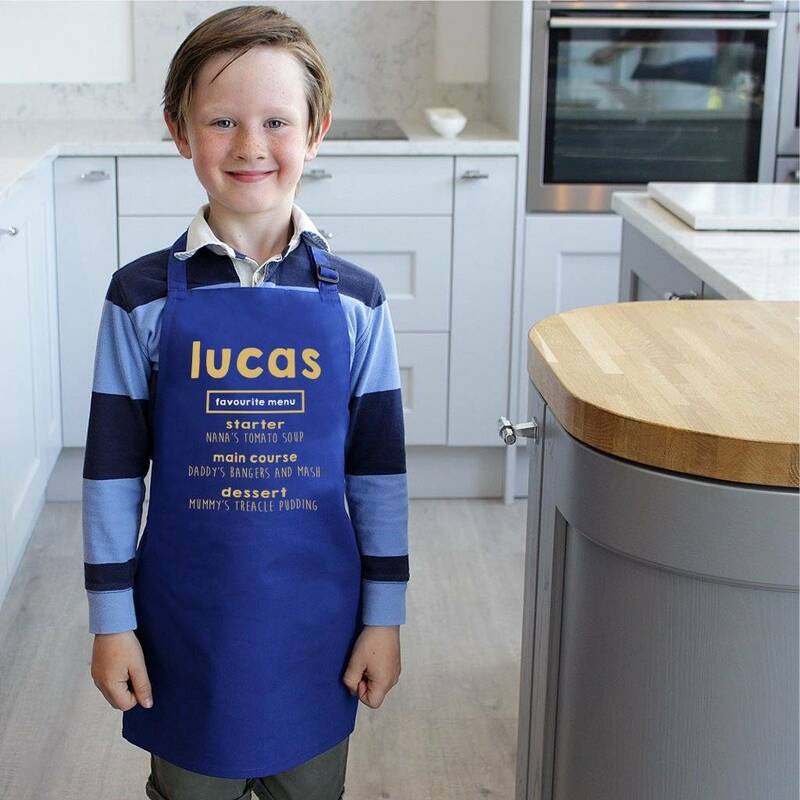 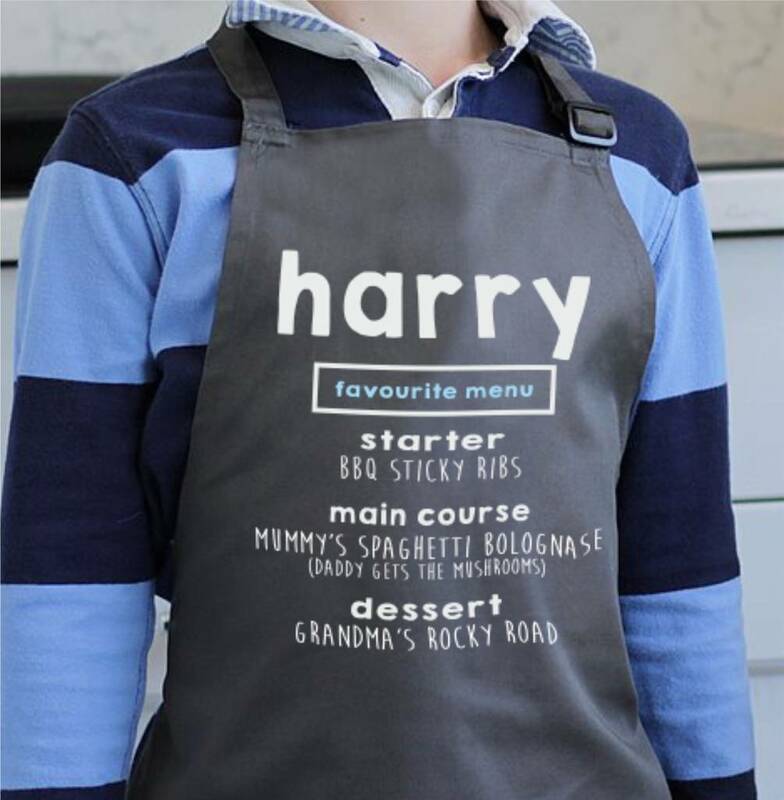 Introducing our Personalised Child's Favourite Menu Apron. 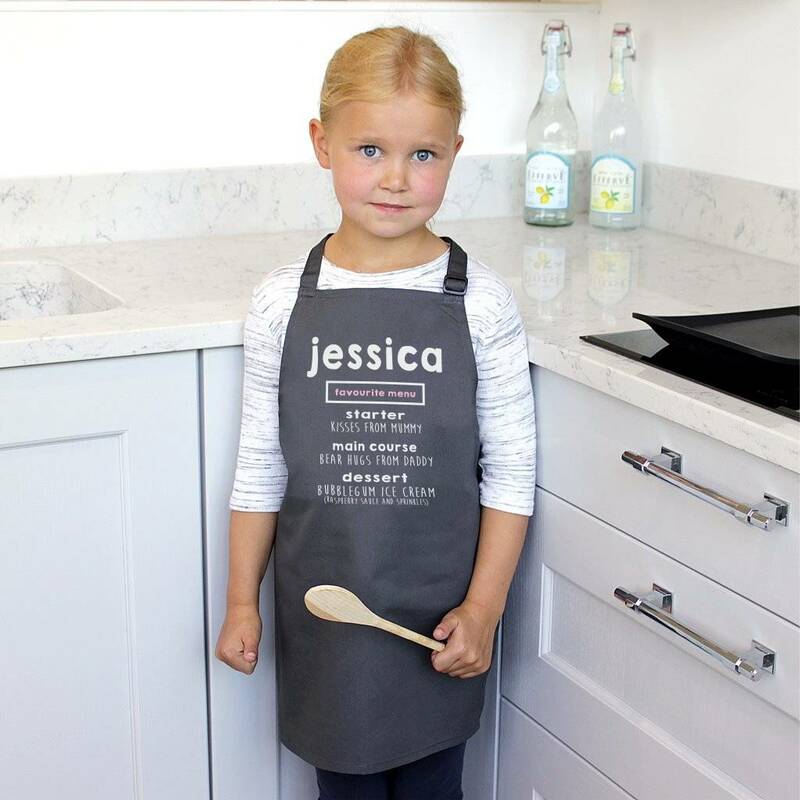 We think these aprons make a great gift for a budding Masterchef or Baker when they are helping Mummy or Daddy in the Kitchen. 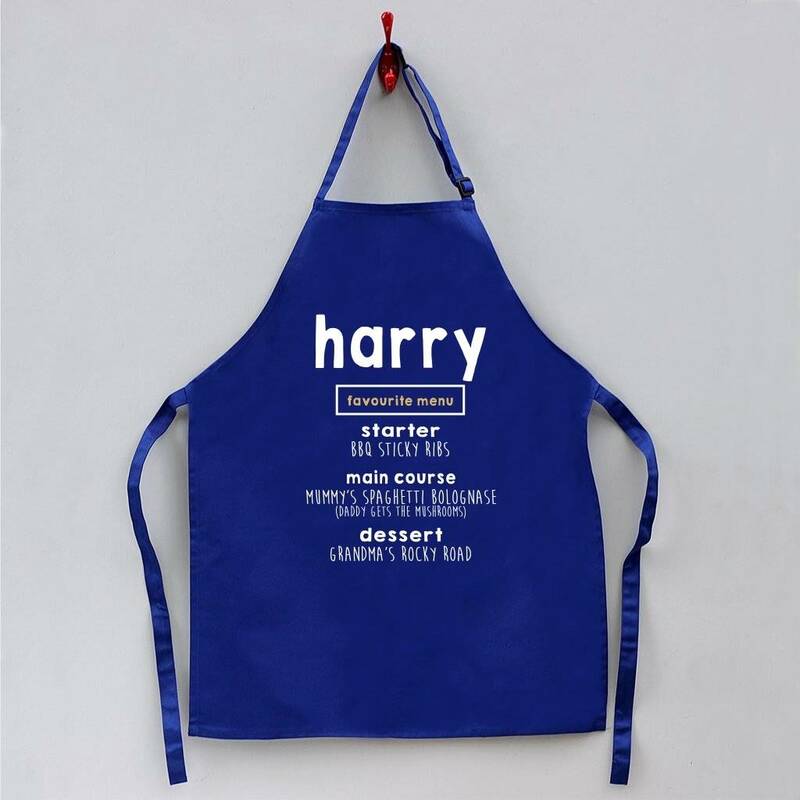 Get all those favourite yummy foods, made by their most favourite people in the world, onto this wonderful Apron. Personalise with your child's first name and then their 3 favourite meals. 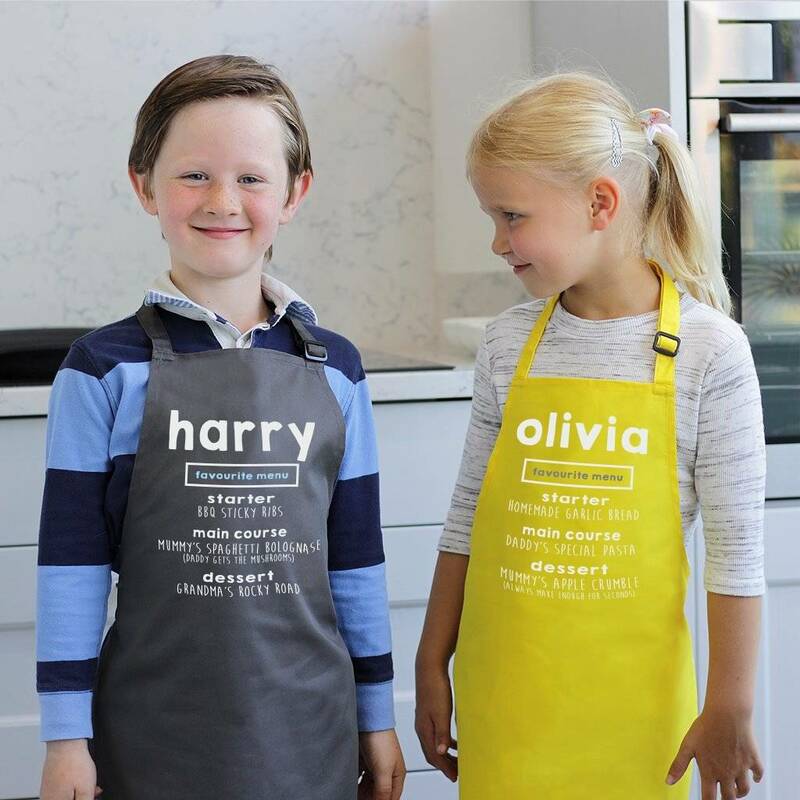 You can also have who makes each meal, as an added personalisation. 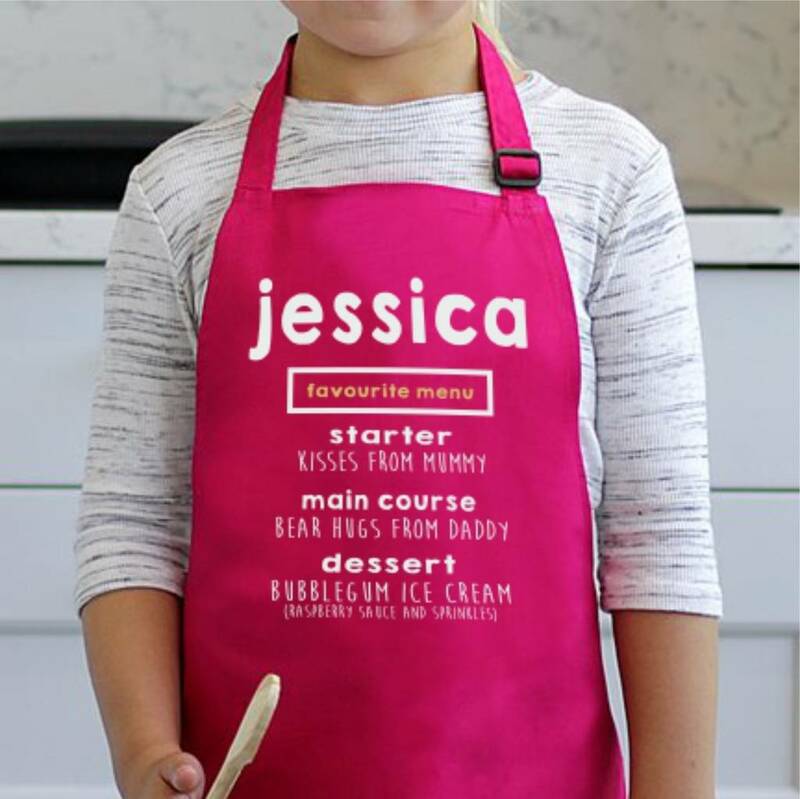 You can even put a slightly different angle on this design by changing the foods for other favourites, like kisses from mummy and hugs from daddy, it's up to you. 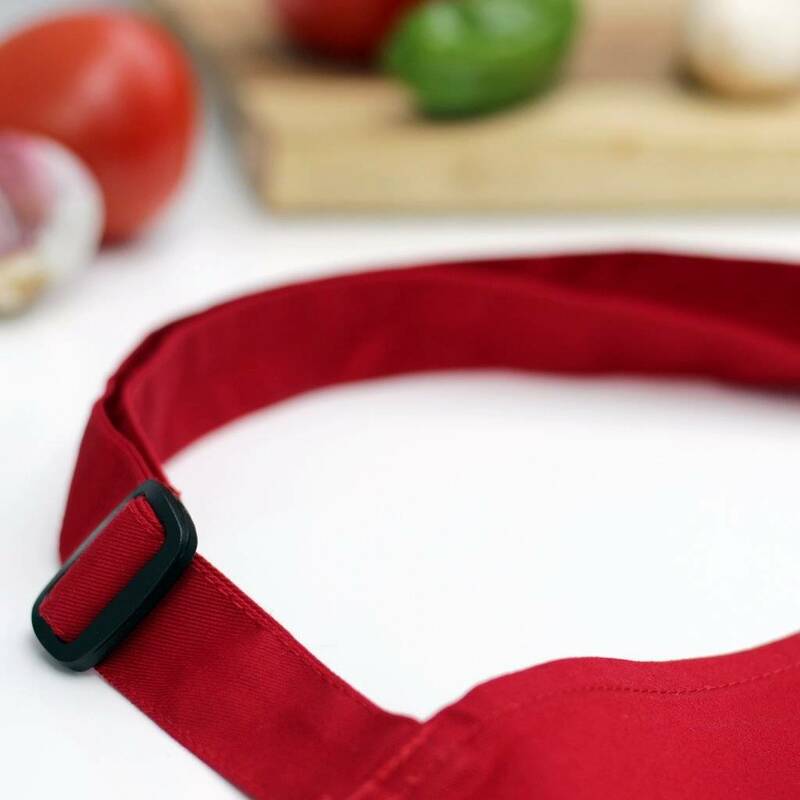 Available in a choice of 5 colours: Grey, Blue, Red, Hot Pink and Lemon.